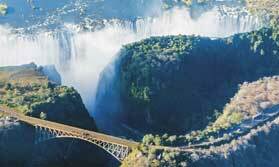 Throughout Zimbabwe there are some wonderfully fascinating, exciting and inspiring experiences that we can offer you on your holiday. Here are a few ideas to show you the kind of things you could be doing here, though of course there are always more, and we are also very happy to help you with anything you specifically want to do or see. 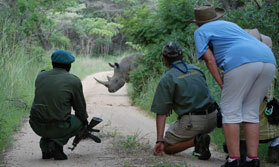 Rhino tracking is an experience you will never forget, as you approach these endangered creatures in the company of experienced guides. 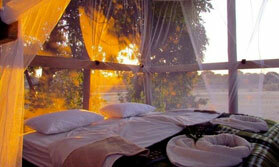 For an immersive bush experience nothing quite matches spending a night in the open, sleeping with just a mosquito net separating you from the outside world. 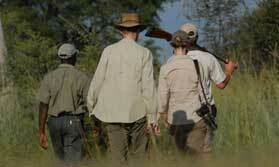 Get up close and personal with the wilderness and enjoy a walking safari as part of your wildlife experience.